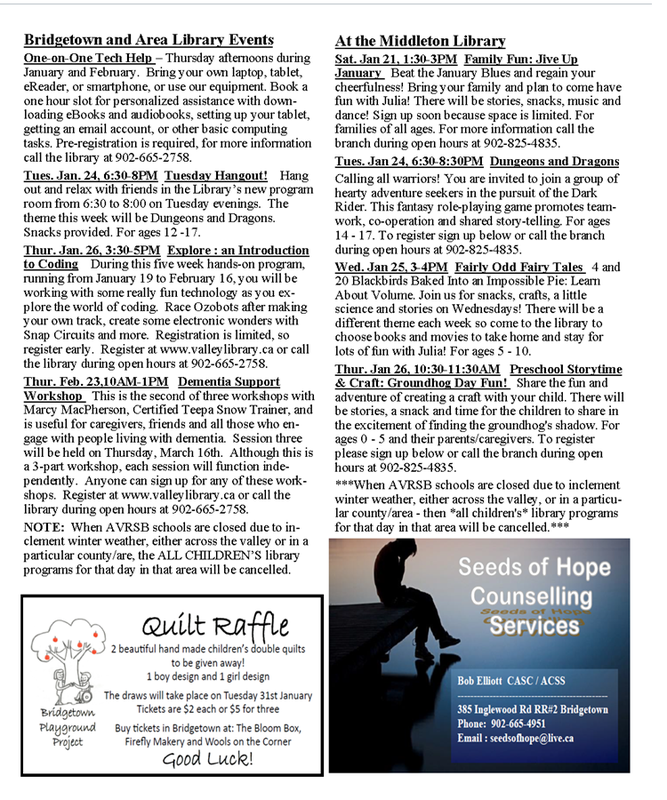 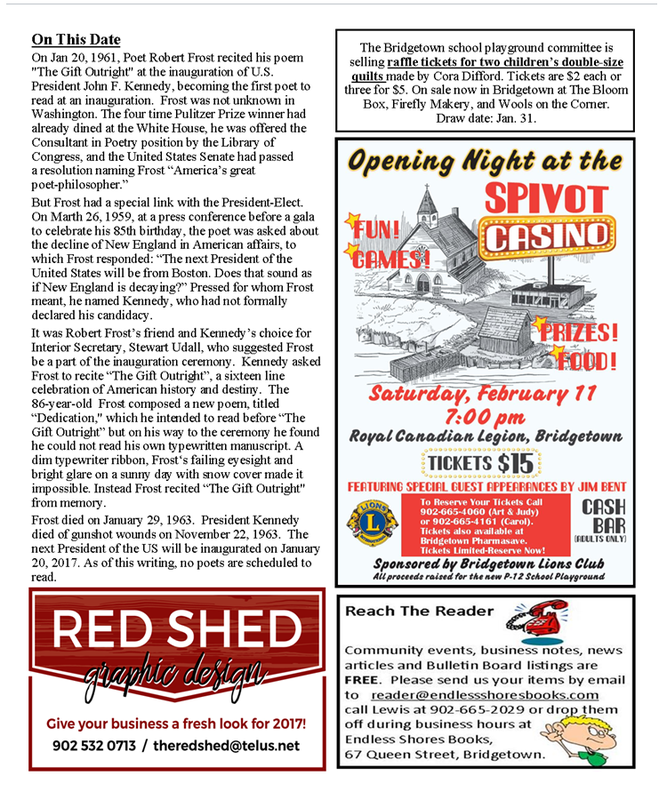 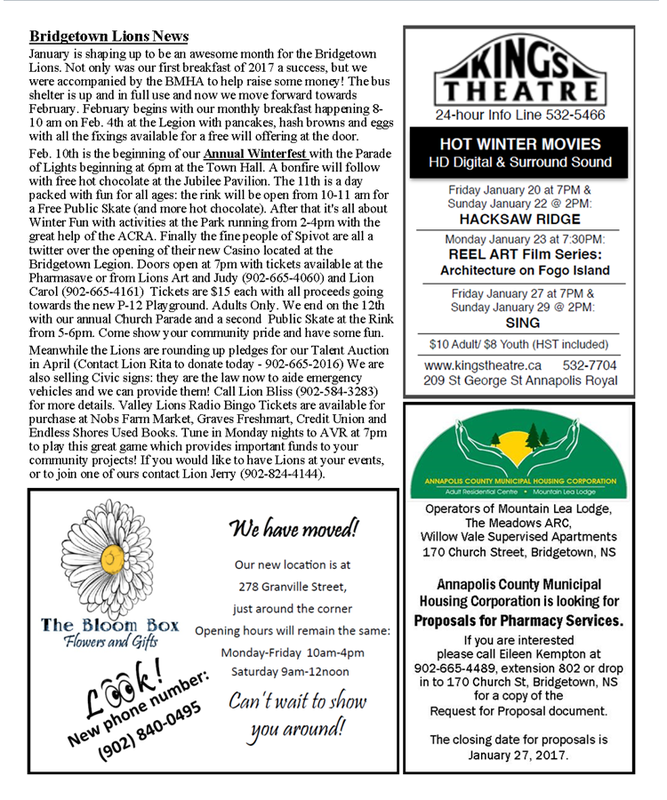 The Bridgetown and Annapolis County Reader provides news, community events and advertising for the people of Annapolis County and our visitors from Bridgetown, NS. 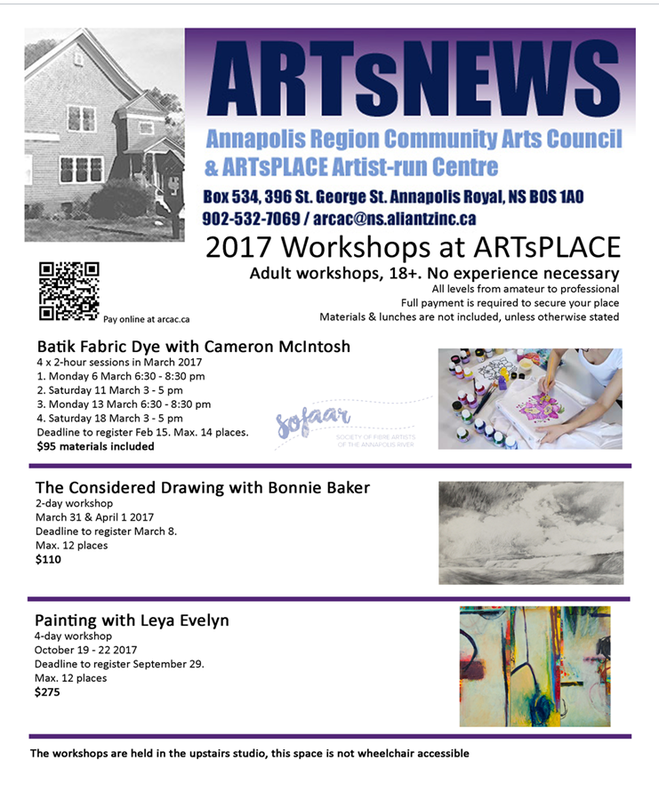 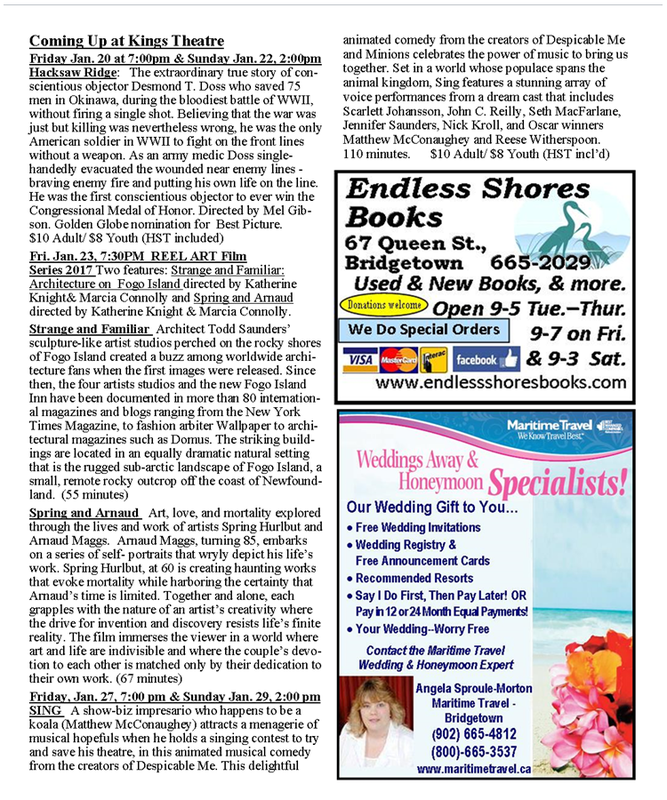 Print copies are available in businesses from Middleton to Annapolis Royal. 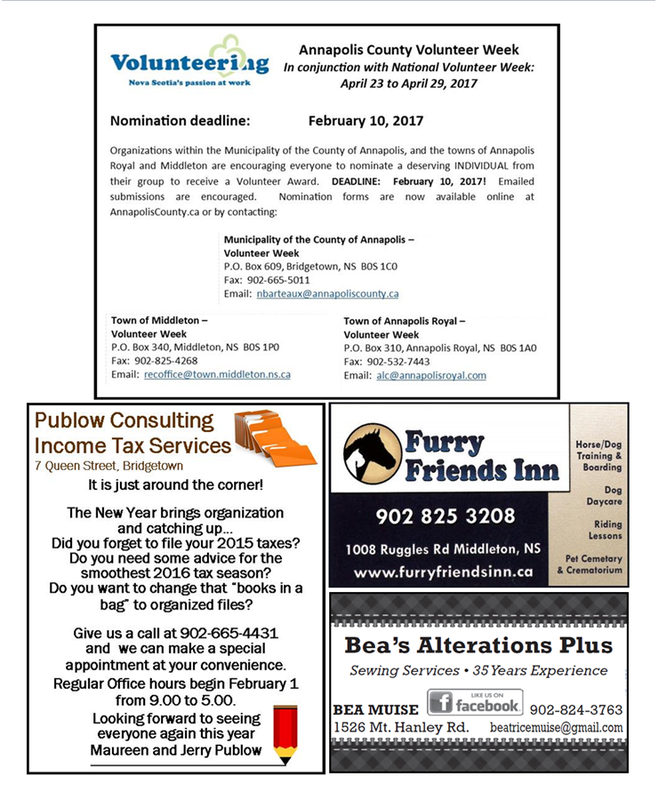 Our aim is to build community, support and promote small business and work toward a sustainable local economy for our home. 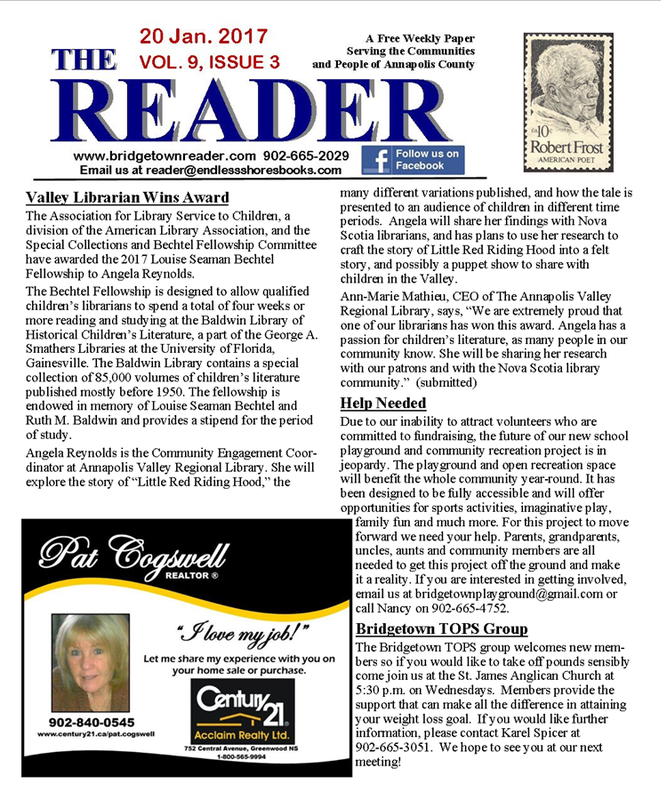 Reach us at readerpublishing@outlook.com - TAR Publishing, Box 576, Bridgetown, NS B0S1C0 - 902-824-0412.